I got this light ear posting method from my friend in Poland. Her puppy has a European show crop. 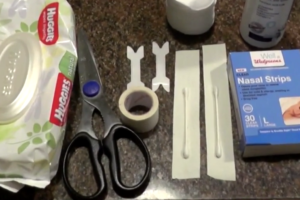 This method uses only tape to shape the ears. I like this method because it is very light to carry, and very flexible – it bends and pops back up, which makes it a lot easier for a dog. 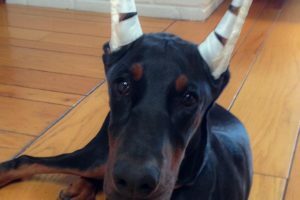 You will need two people to post ears with this method, as it requires for a dog to remain still. Before connecting the ears together – shape them with hands, pushing on the ear pockets. Keep the ears upright, but slightly out (pointing sort of at 11 and 1 o’clock). 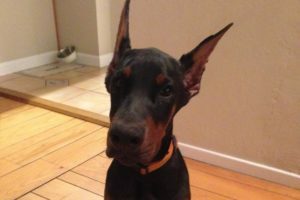 If the ears too straight up – the ear pocket might sag. 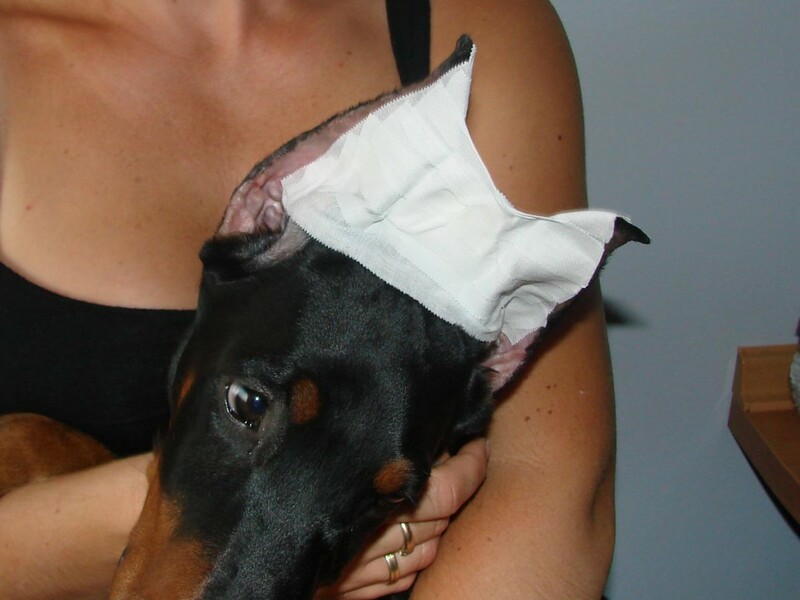 I used this method a few times to give my puppy a break from stuffing his ears with tampons. 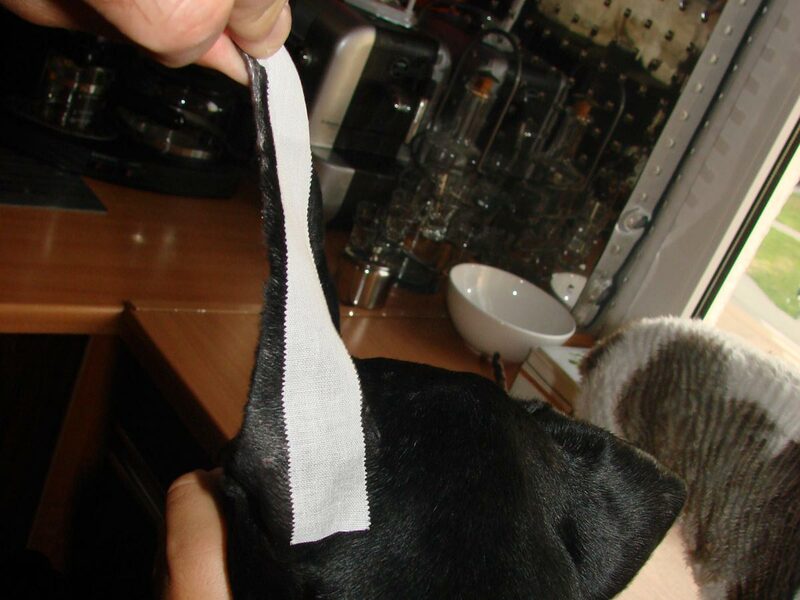 The easiest way to post cropped ears – tape tubule.